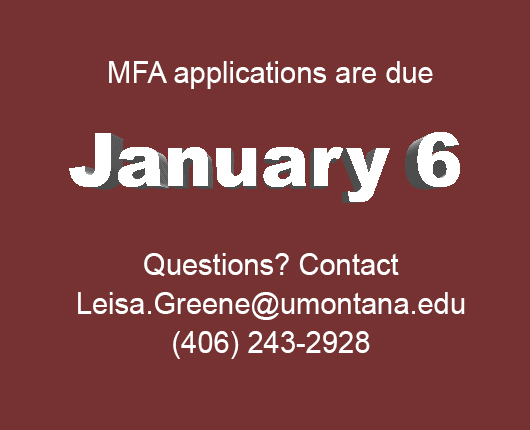 MFA applications are due January 6. It's a two-step process. Remember to apply to the University of Montana Grad School AND upload your application materials on Submittable. Contact us if you have questions.